The dynamic nature of the cross-organizational business processes poses various challenges to their successful execution. Choreography description languages help to reduce such complexity by providing means for describing complex systems at a higher level. However, this does not necessarily guarantee that erroneous situations cannot occur due to inappropriately specified interactions. Complex event processing can address this concern by analyzing and evaluating message exchange events, to the aim of checking if the actual behavior of the interacting entities effectively adheres to the modeled business constraints. 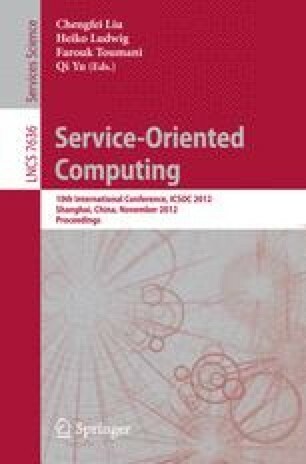 This paper proposes a runtime event-based approach to deal with the problem of monitoring conformance of interaction sequences. Our approach allows for an automatic and optimized generation of rules. After parsing the choreography graph into a hierarchy of canonical blocks, tagging each event by its block ascendancy, an optimized set of monitoring queries is generated. We evaluate the concepts based on a scenario showing how much the number of queries can be significantly reduced.